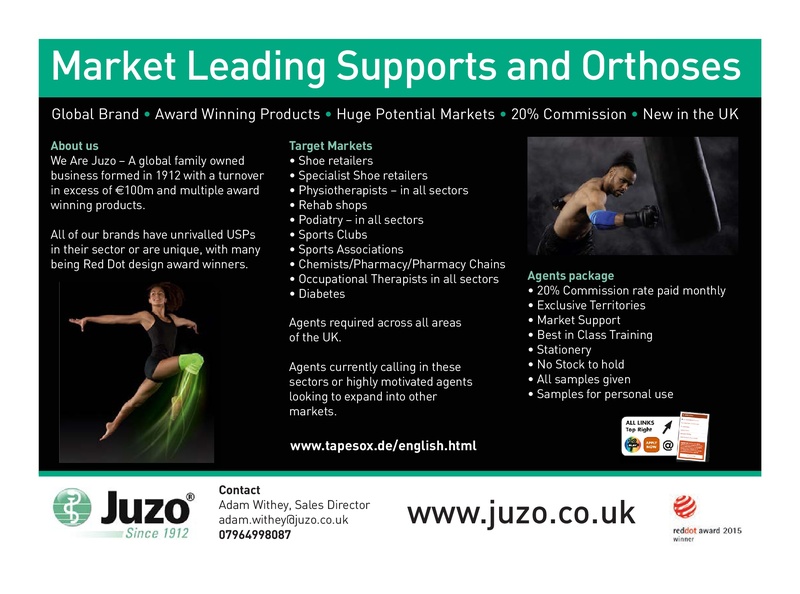 We Are Juzo – A global family owned business formed in 1912 with a turnover in excess of €100m and multiple award winning products. All of our brands have unrivalled USPs in their sector or are unique, with many being Red Dot design award winners. Agents required across all areas of the UK. Agents currently calling in these sectors or highly motivated agents looking to expand into other markets.